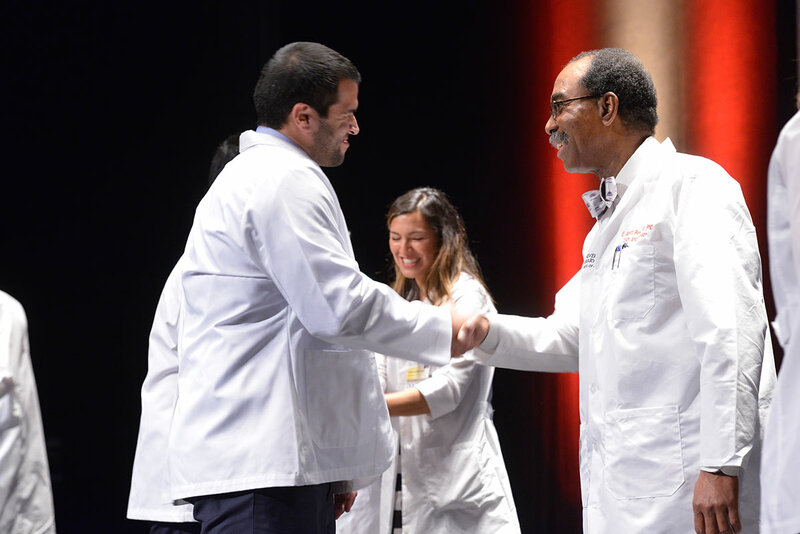 “Today marks a major milestone in what will surely be a momentous and lifelong journey,” said E. Albert Reece, MD, PhD, MBA, Executive Vice President for Medical Affairs, UM Baltimore, and the John Z. and Akiko K. Bowers Distinguished Professor, and Dean of the School of Medicine. 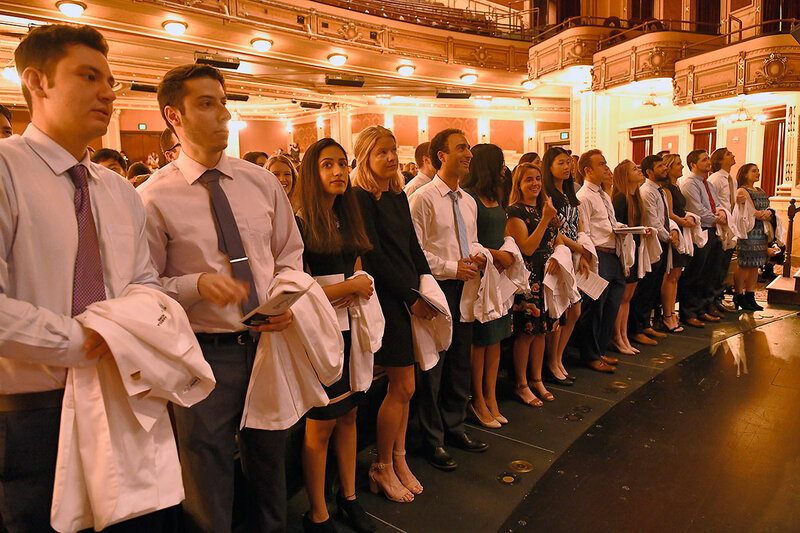 The White Coat Ceremony has been an annual tradition at the School of Medicine since 1997. 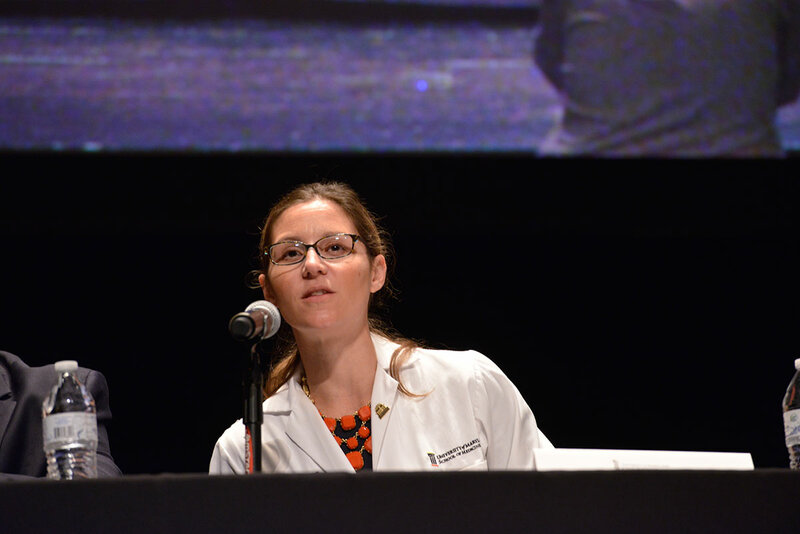 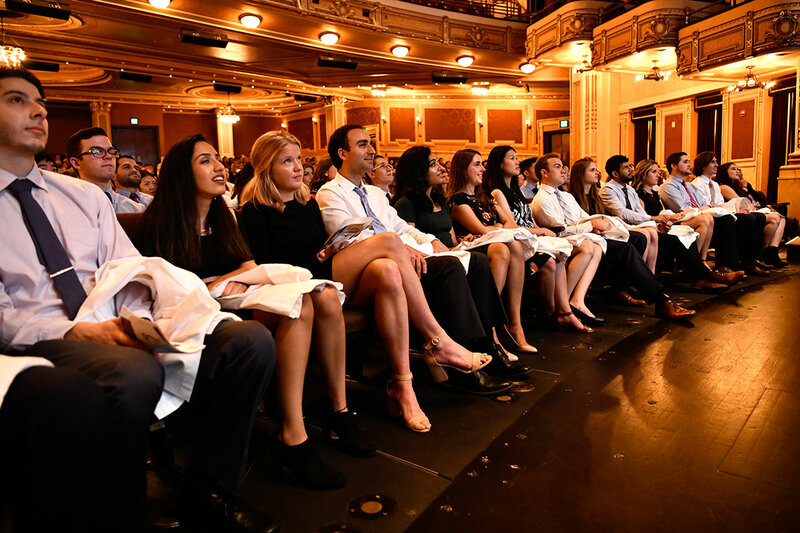 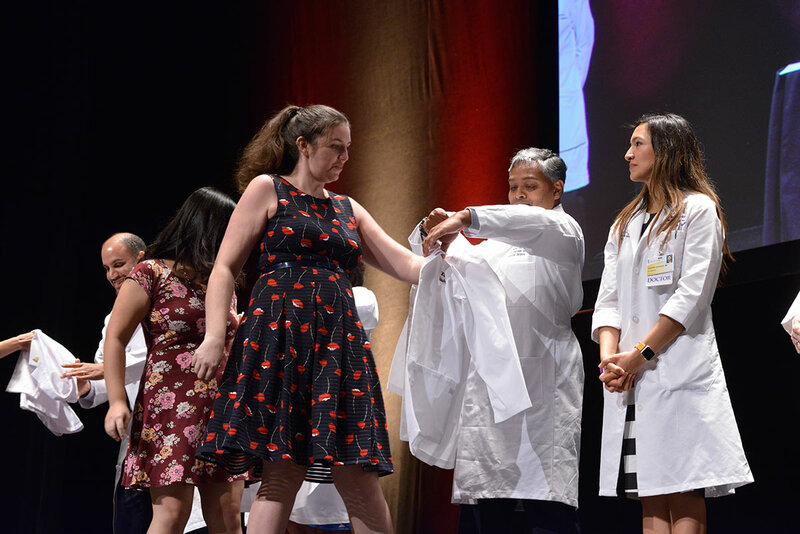 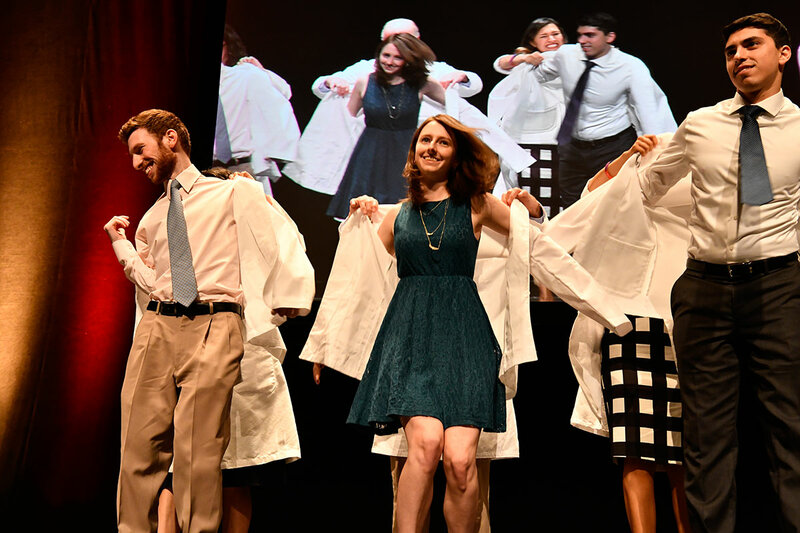 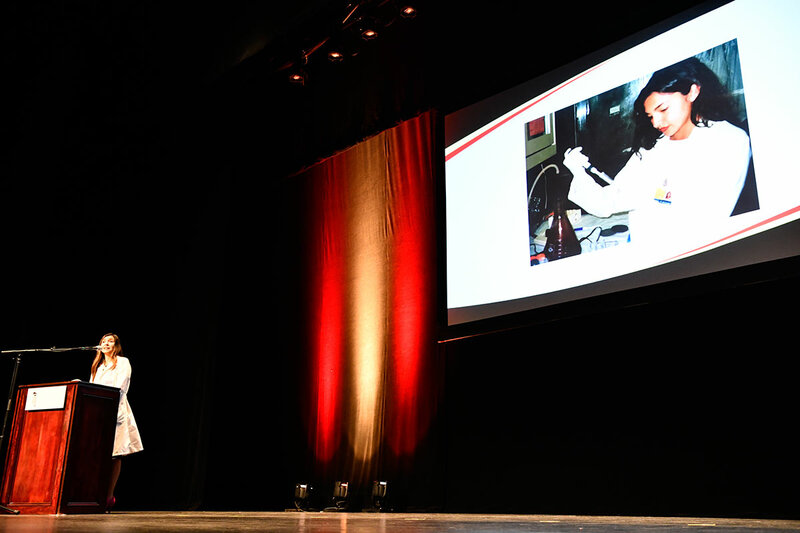 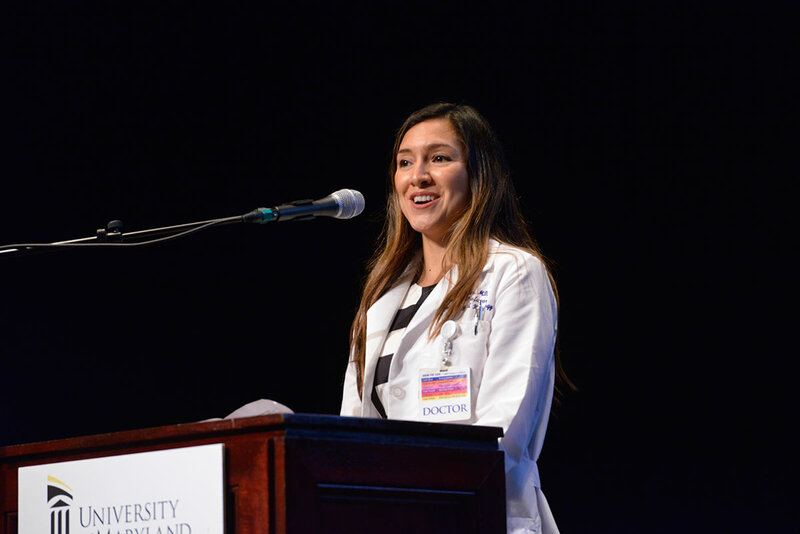 During this event, first-year UMSOM medical students are presented their first white coats, which have long been the symbol of physicians and scientists induction into the medical profession. 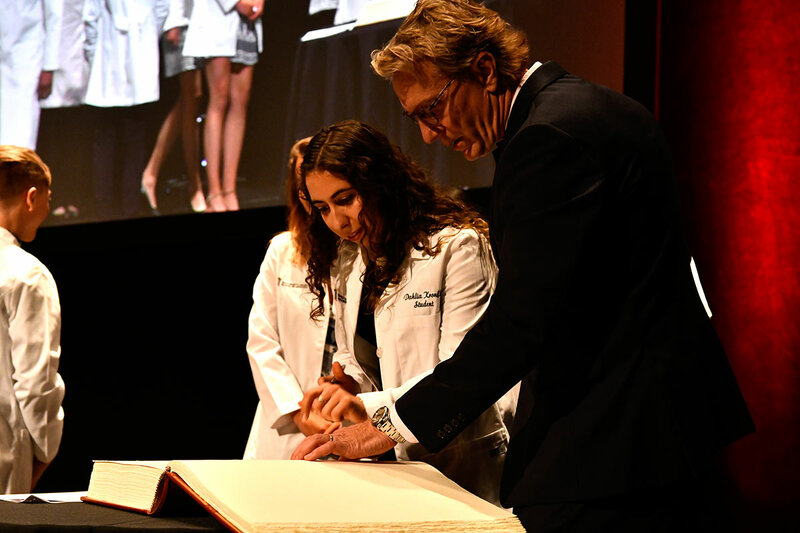 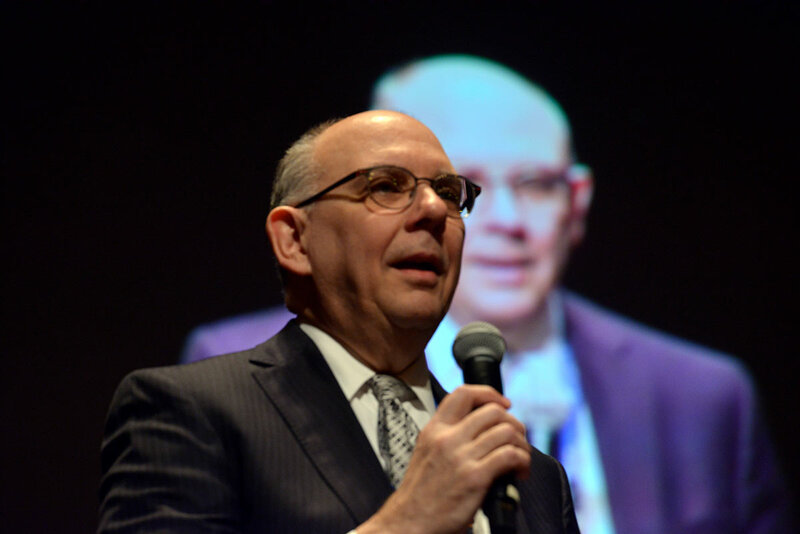 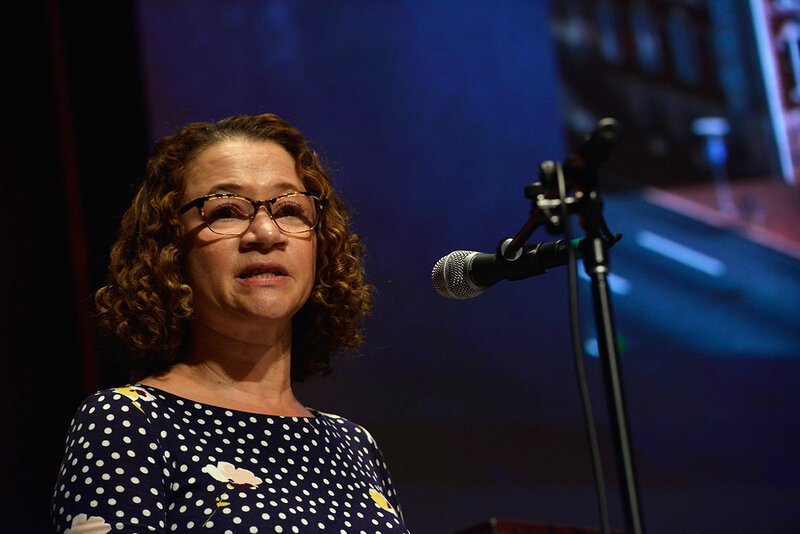 “This ceremony symbolizes our confidence in you, and our expectation that you, as a healer, will not only take care of patients, but, will do so with compassion and respect,” said Dean Reece. 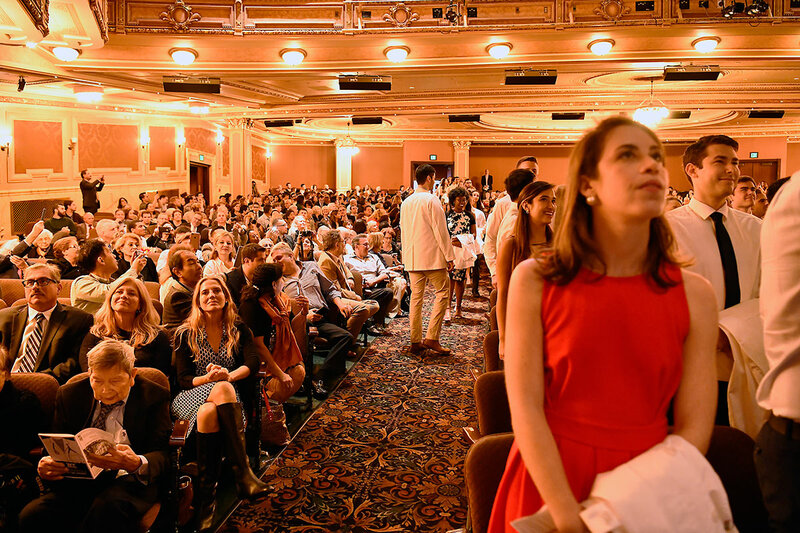 Among these students are Ivan Buitrago. 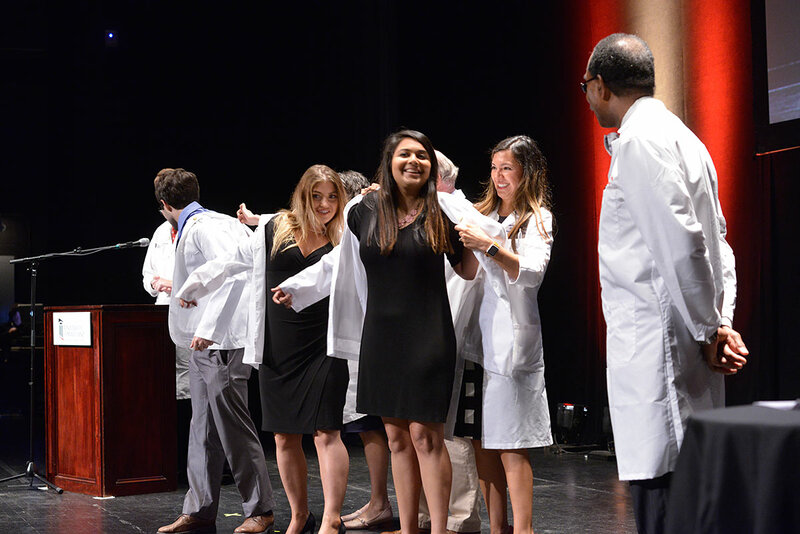 The White Coat Ceremony, which was sponsored by the Whiting-Turner Contracting Company, is also intended to serve as an opportunity for families of first-year medical students to celebrate medical education at UMSOM and get a glimpse of what medical school is really like. 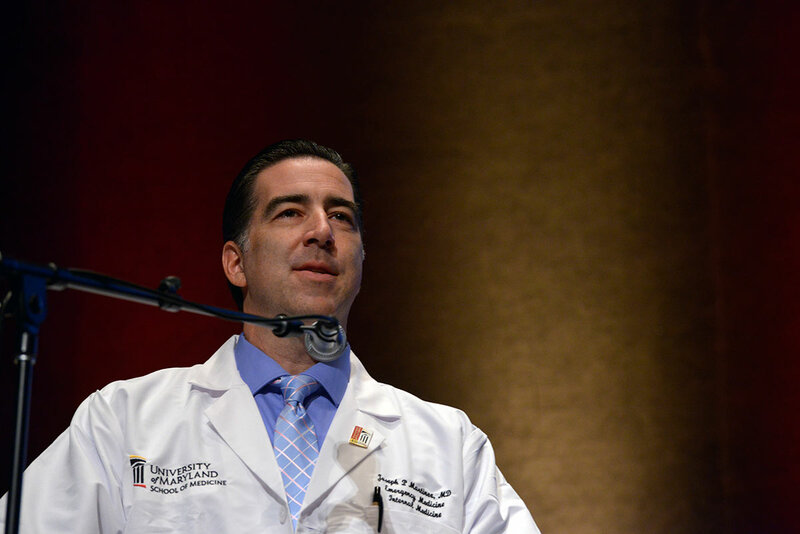 David Mallott, MD, Associate Dean for Medical Education, discussed the rigors of medical school, addressing the family members attending the ceremony. 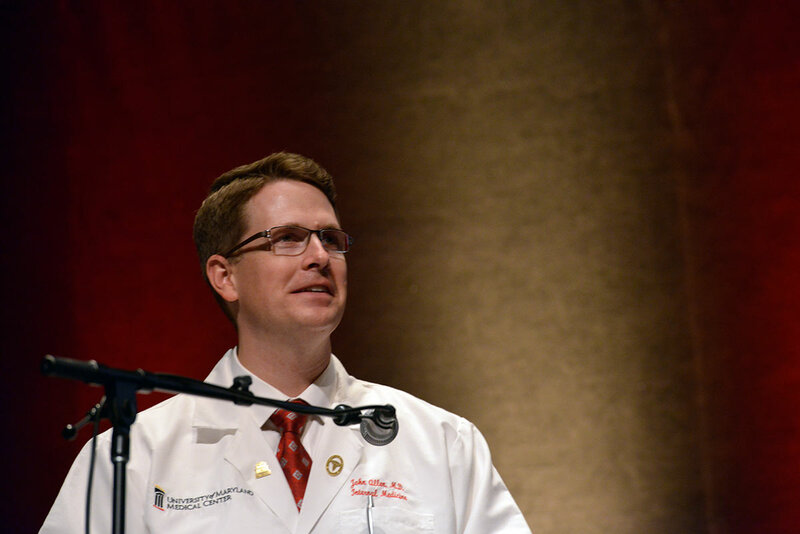 “Medical school is challenging, but remember you have all earned your way here,” he said. 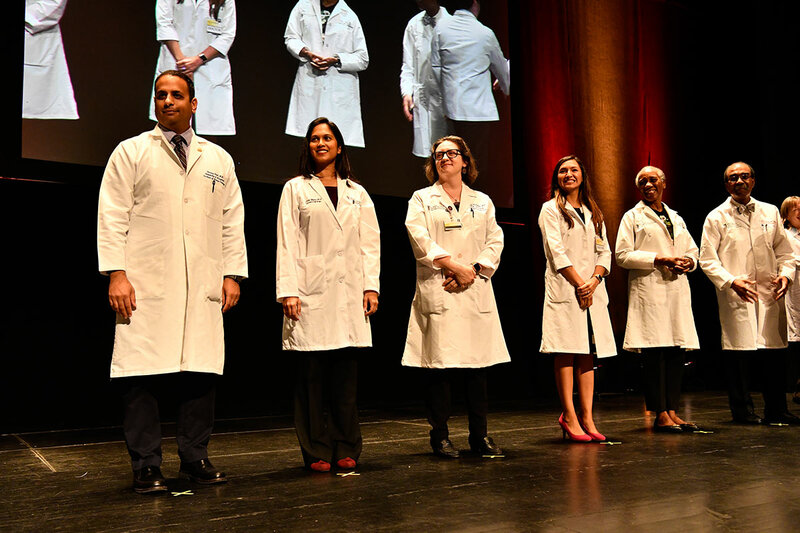 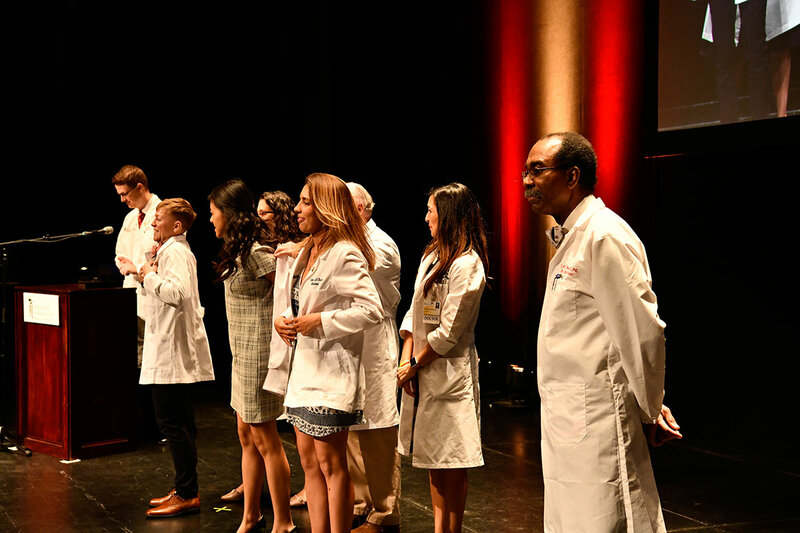 The coats were put on first-year medical students by School of Medicine house leadership faculty to welcome their new colleagues to the profession of medicine. 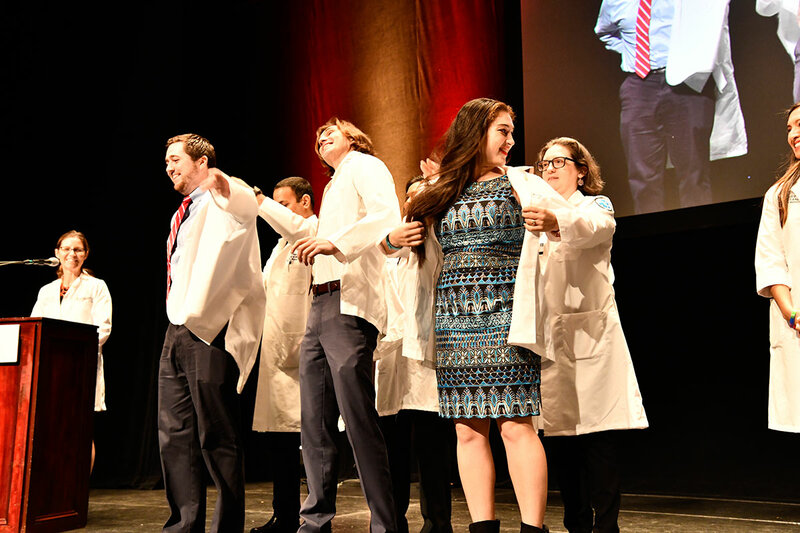 After being "coated," students recited a Code of Honor acknowledging their acceptance of the obligations of the medical profession. 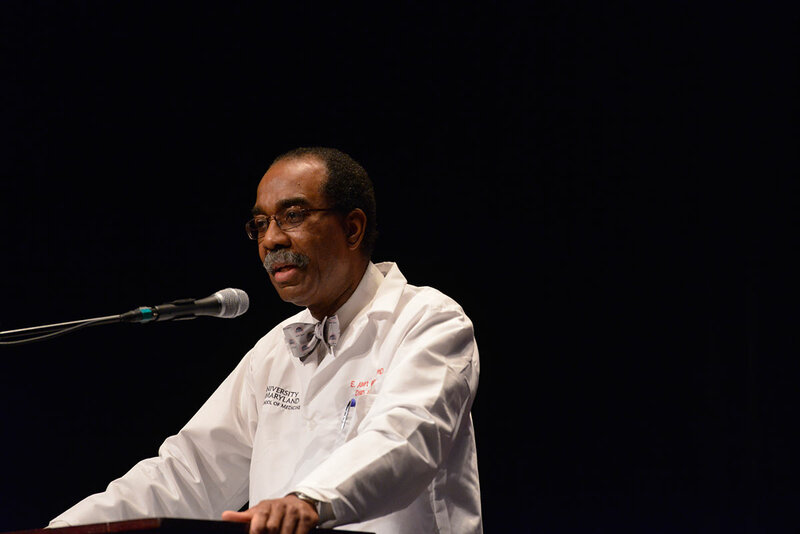 Medical Family Day was held on November 5, 2015 at the Hilton in downtown Baltimore. 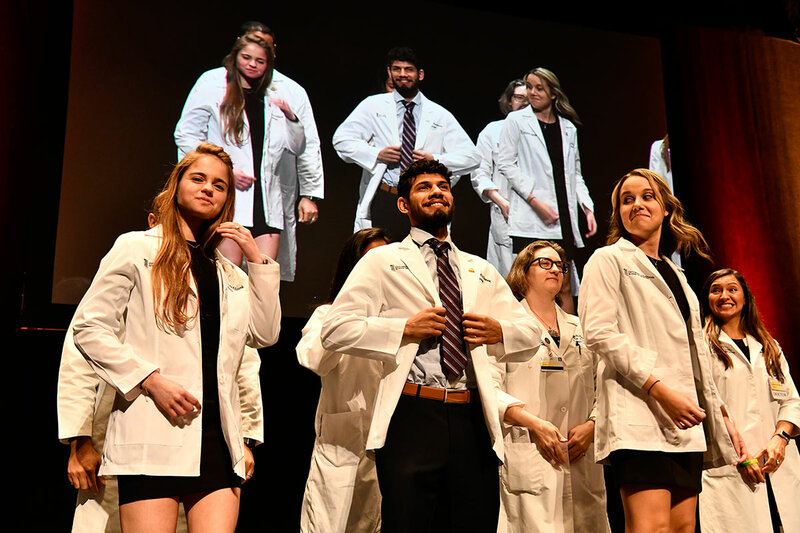 This special event, which was sponsored by the Whiting-Turner Contracting Company, gives family members of first-year students a glimpse into what medical school is really like for the students.